Wow! This is a very emotional post for me because there are so many reasons why I LOVE my husband, Bill. As many of you know, our daughter, Shantel, is totally blind. She had both eyes removed before she was two years old, so she has no memory of colors… But, when she was very young, I would help her understand colors by telling her for instance that red is a very warm color, where as green, and blue can be very cool colors etc. Well, to make a long story as short as I can… Bill has always baked Christmas cookies with Shantel, and that continued on this year… He spent last Sunday helping Shantel, and her friend, Jaz, bake two different kinds of cookies, and some fudge. 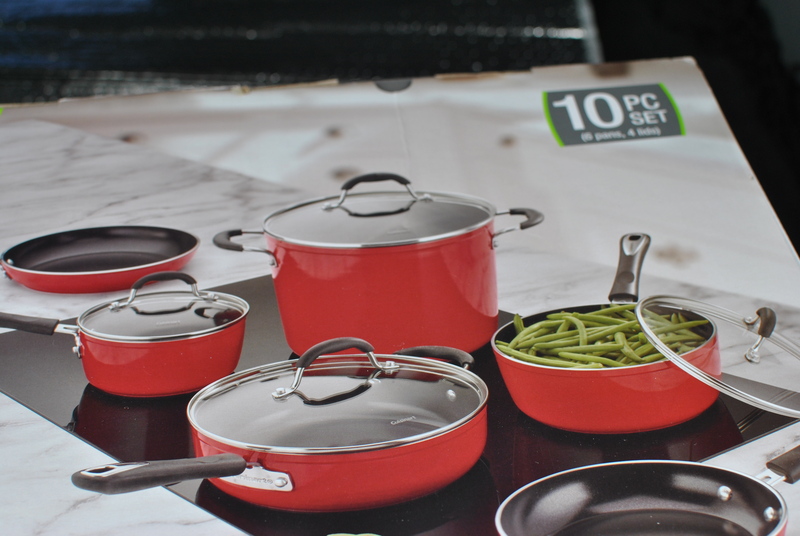 Well, Bill thought that over, and surprised me today by telling me that he was going to Costco to get gas, and said he was going to exchange the black cookware set for a red set… OMG. What a MAN!! 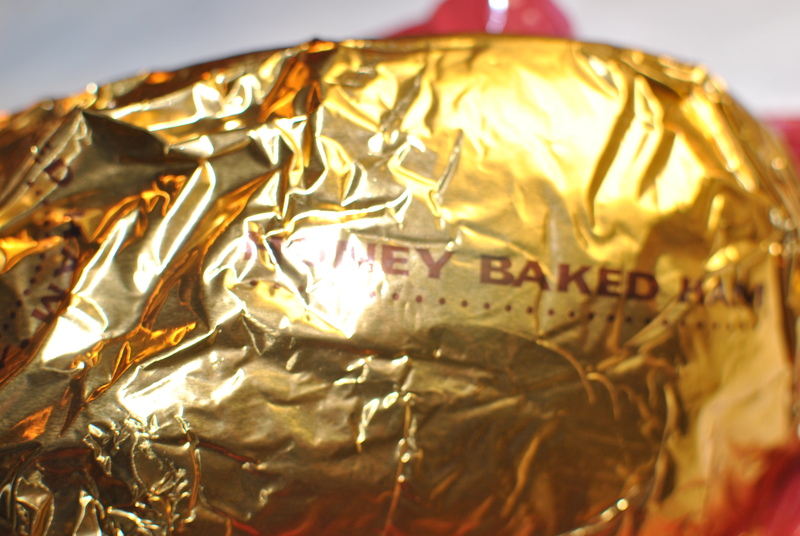 Then, after he left Costco, he went to the Honey Baked Ham store, and stood in yet another long line, to pick up the ham we will take to Shantel’s home for Christmas Eve. Shantel is having a really hard time in her second training class for a job ( the first training class was not ready with the computer software she needs, but she showed up everyday and did the best she could) at a company that helps people select the right Medicare insurance plan for them. She does have the voice-over software on her computer in her training class now, but just like when she was in school, and used JAWS, if there is a picture, the software just says “image” and does not explain what the picture shows…. She asks for help from her peers, and the instructor, but she says they are now all getting irritated with her because she has to ask for help…. Shantel told me that she forgot her lunch the other day. She went to the break room and tried to scan a snack to buy, but she couldn’t get it to scan… She said as she struggled to scan the item, she could hear her peers at the table behind her laughing, but not one of them offered to help her. Finally, she said a complete stranger came up and offered to help her. As her parents, we pray for Shantel to find the job that will be right for her, where she will obtain gainful and meaningful employment, in an environment where she will be accepted and respected for the beautiful person she is. This, is why we help Shantel as much as we can..
One of the many things I love about living in Arizona is the wide open spaces of the Sonoran Desert. 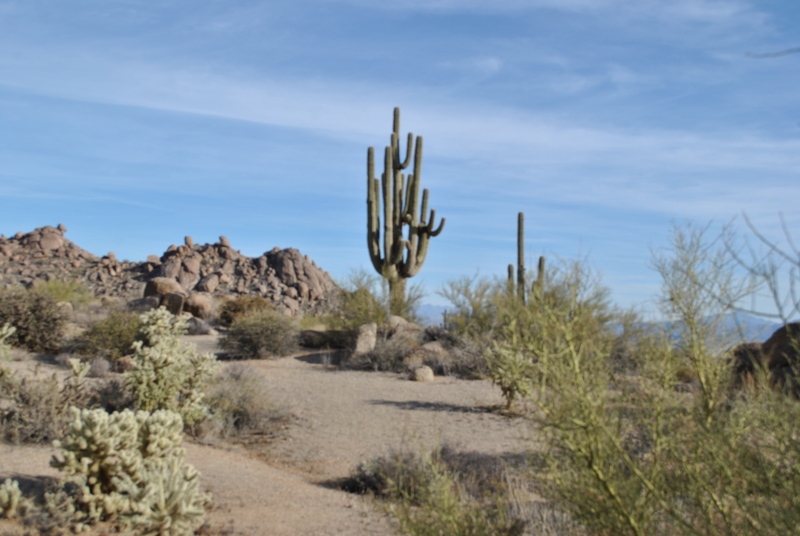 Other than my devote faith, and prayer life, spending time walking/hiking in the beautiful Sonoran Desert is where I find peace, and where I feel the most at home. 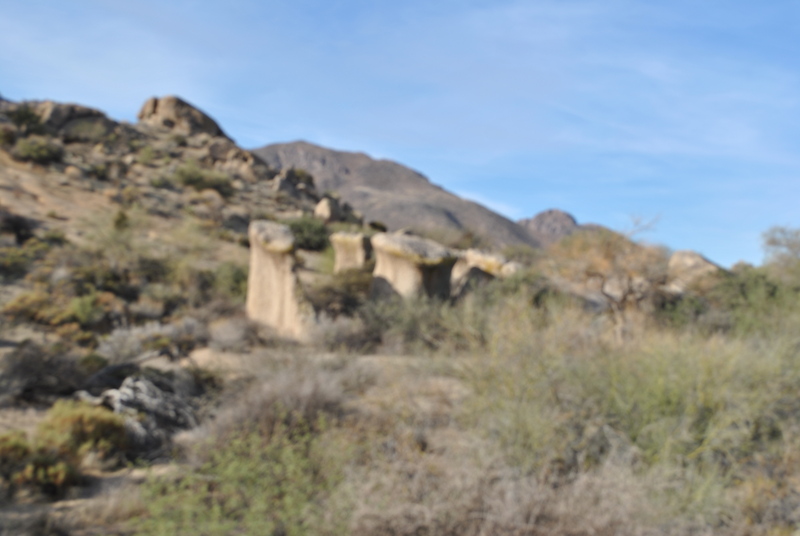 This morning Bill and I took a 20 minute drive from our home at McDowell Mountain Regional Park, to the Scottsdale McDowell Sonoran Preserve Trails, where the Tom’s Thumb trailhead is located. 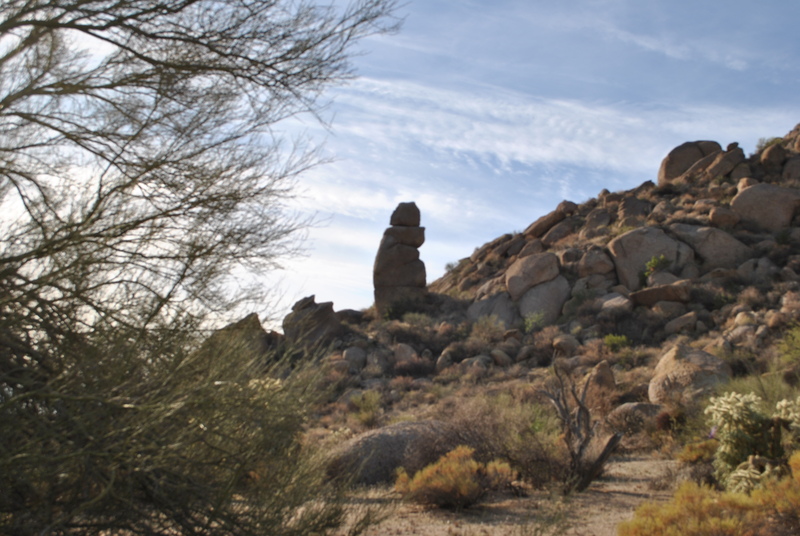 We have heard so much about the Tom’s Thumb hike that we wanted to go and see for ourselves what that hike is all about. 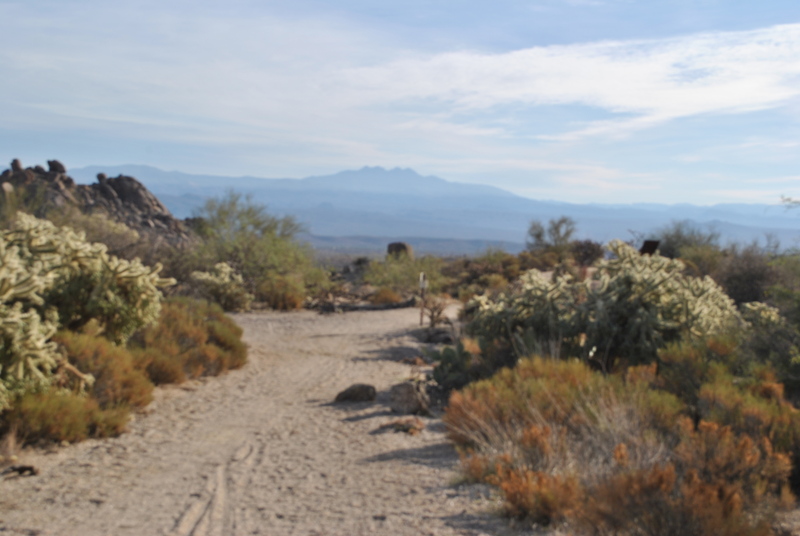 When we arrived at the Tom’s Thumb trailhead, and read the information provided about that hike, we quickly decided that was not going to be the trail for us. Tom’s Thumb is a 5 mile, steep hike, up a mountain, and is rated as extremely difficult. If my hips were 20 years younger, and I was about 20 pounds lighter in the trunk…, perhaps I would have considered taking that hike. However, as Bill and I looked at that trail before us, both Bill and I decided we are not about extreme difficult, we are all about extreme FUN!!! So, we decided we would take the Marcus Land Slide hike instead. 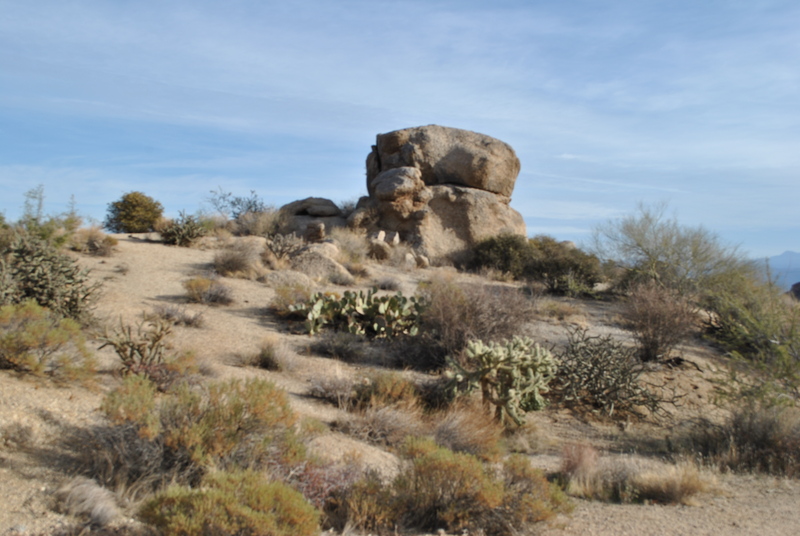 The Marcus Land Slide hike is in the same general area as Tom’s Thumb, but it is rated as moderately difficult, which is much more to our liking. 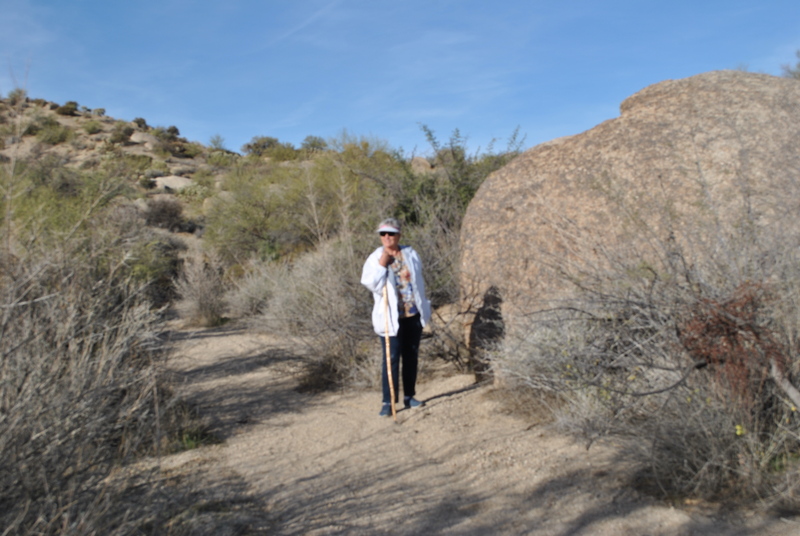 We were amazed at all the beautiful rock formations on the Marcus Land Slide hike. Take a look. 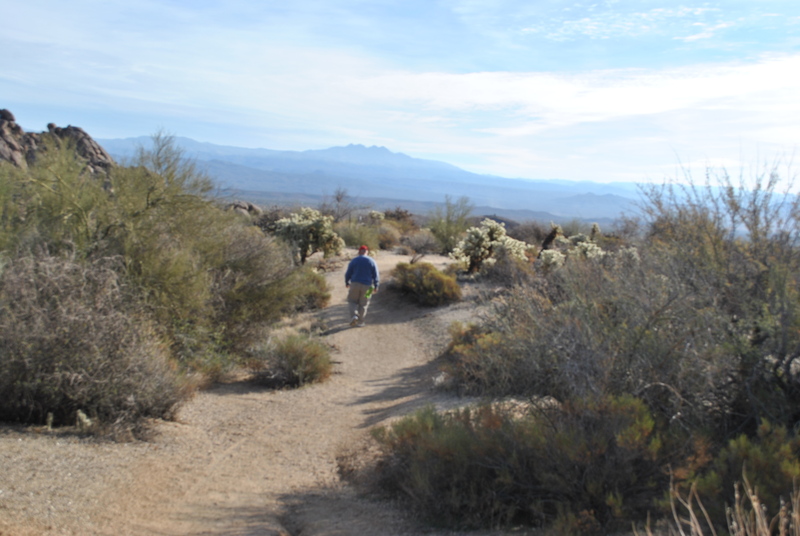 From the trailhead where we started our hike we were on a constant downhill walk that over looks the desert floor. However, as Bill reminded me… “one that hikes down…must also hike back up… True, but at least it was a gentle down and up again hike. My hips thanked me for the exercise without pushing them into “extreme pain”. 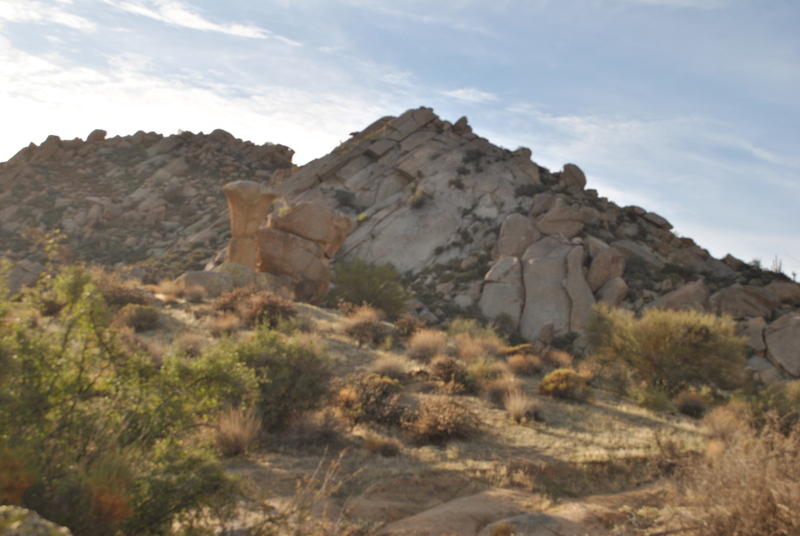 The rock formations in the picture below are called mushrooms and subsurface weathering. 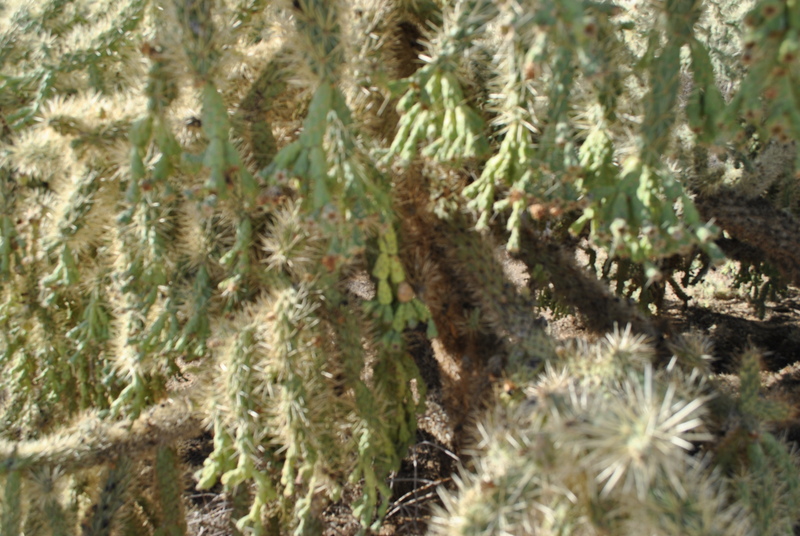 Along with really cool rock formations, I am always amazed by the wide variety of cactus formations as well. But not to worry, we always catch up with each other and take time to just stop, be still, and take in all the beauty around us. How can one not be at peace when looking at scenery like this in the stillness of the desert? 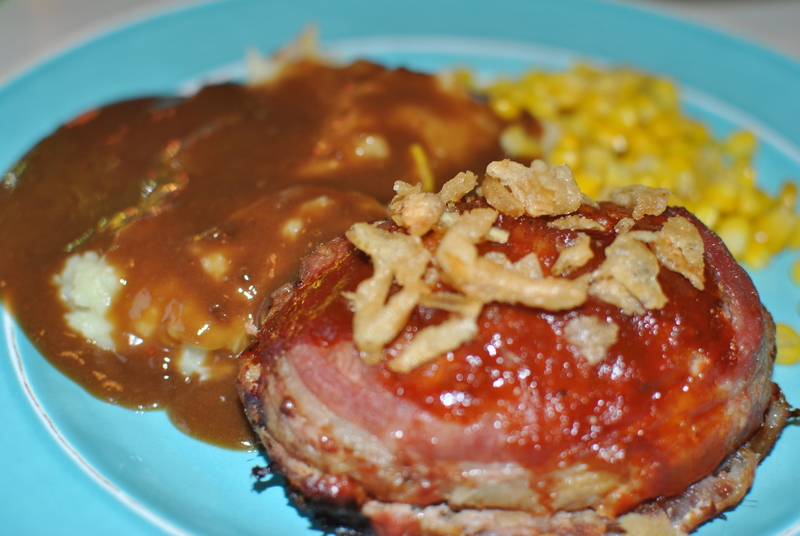 Then, after a few hours of hiking out in the lovely 70 degree weather, we came back home and had a delicious lunch of mini-bacon wrapped meatloaf, with crunchy fried onions on top, and mashed potatoes, gravy, and corn. I made this last night for our dinner and made sure to make enough to heat up for our lunch today… Yummers! 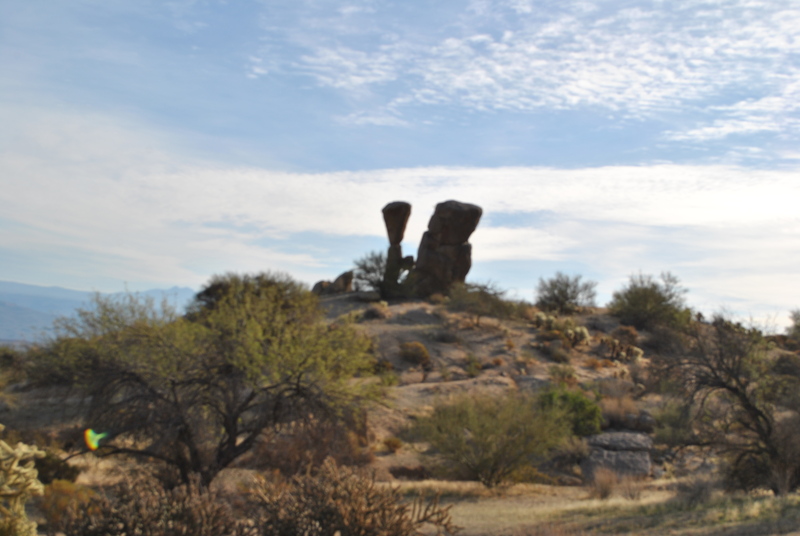 The reason Bill and I wanted McDowell Mountain Regional Park to be our winter home is because it puts us so much closer to our family and friends that live in either Scottsdale or Fountain Hills. McDowell Mountain Park allows us to see our dear friends, Holly (my sister by choice) and her husband, Chuck, that live in Fountain Hills, as often as we like. Now they are within 15 minutes of us. So love that we can see each other anytime we want. We also have very dear friends Robin (my frissy) and her husband, Bob, that live in Scottsdale, and are approx. 35 minutes away from us now, as opposed to about an hour away when we were at San Tan. Robin and Bob visited us yesterday, and we had lunch together at our picnic table, then took the self-guided interpretive trail hike. We had so much fun on that 3.1 mile easy hike. Both Robin and I agreed that hike would allow us to have one glass of wine free of calories, due to the exercise we got. I worked with both Holly, and Robin, when I worked in the Corporate environment…. They both were in my life as Bill and I were raising our adopted daughter, Shantel, who lost her sight to cancer before she was two. And they were both instrumental in helping Bill and I get through that period in our lives. So here is to you, Holly and Chuck, and Robin and Bob. 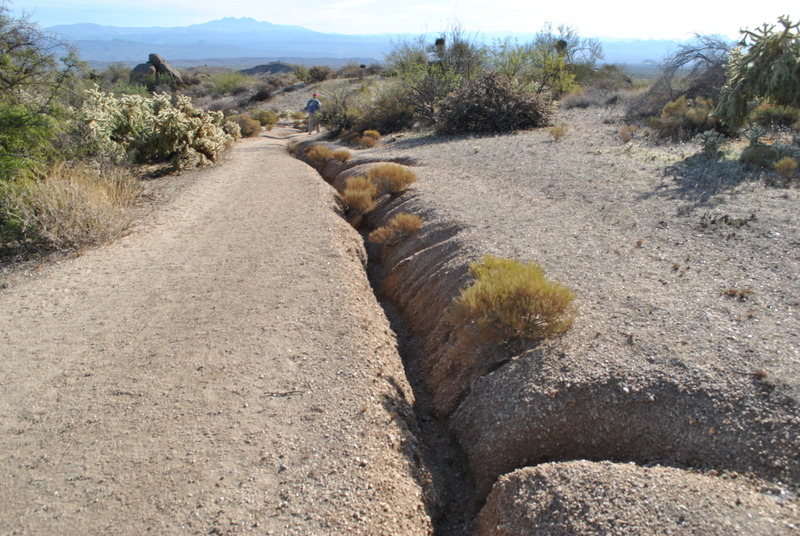 And we think we found our “nitch”, for our winter months here at McDowell Mountain Regional Park.